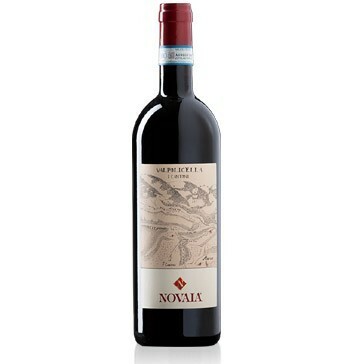 This Valpolicella is made with corvina, corvinone and rondinella grapes picked during the last ten days of September from "I Cantoni" Novaia vineyard, a hilly vineyard (280-300 meters above sea level) located in Novaia, Marano di Valpolicella (Verona). Grapes undergo a natural over-ripening in a traditional hilly cellar (400 meters above sea level) for arounf one month. This wine ages for 24 months in barrique and 12 month in bottles. The colour is deep ruby red. 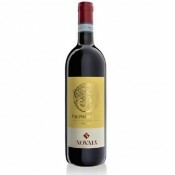 it has a clear and intense perfume with hints of red berries, together with spices and notes recalling dried grapes. 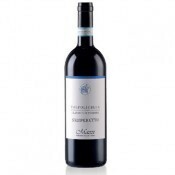 It shows a good alcoholic content, medium-low acidity, medium tannic features and good roundness. 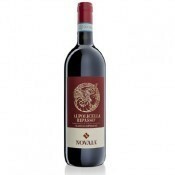 A wine with body and structure, tasty, persistent and with good balance. Tradition recommends typical Italian appetizers, pasta, rice and country soups, dishes with truffle, grilled, roasted or braised red meat, poultry, roast lamb, stewed vegetables, hard and semi-hard cheese with medium-long ripening, tasty but not strong. Very pleasant with rare cooked meat. The cuisine of Veneto recommends "Lardo e Sopressa veronese", "Paparele in brodo coi fegadini", "Risotto veronese" and "Risotto con il tastasal", "Polenta e Bogoni", "Fasoi imbogonè con le codeghe", "Radecio rosso ai ferri o scotà en teia".